But, Jan Harzan, executive director of the Mutual UFO Network (MUFON), says UFOs HAVE been recovered and ARE being stored nearby. Mr Harzan claims there is a secret underground facility built into the base of the Papoose Mountains, in Lincoln County, Nevada, where recovered alien space crafts and extra terrestrial beings are kept hidden away. Ever since the legendary Roswell UFO crash of July 1947 alien conspiracy theorists have claimed the remains of a flying saucer, and even dead aliens, were secretly taken into storage – something the US Government denies. Roswell has been at the heart of the UFO scene since July 1947 when the military sensationally announced in a press release it had found the remains of a crashed flying saucer in the desert nearby. Witnesses later came forward to say there had been alien bodies within the “crashed craft”, which along with the wreckage were then taken away. There has been speculation the remains were taken to Area 51 in the Nevada desert, or the Wright Patterson Airforce base near Dayton, Ohio. Last summer Express.co.uk revealed the claims of Andre Milne, founder of defence technology firm Unicorn Aerospace, that Area 51 did not house aliens, but was used for so-called “black projects” to develop new secret flying technology. US-based MUFON is the world’s biggest organisation dedicated to UFO and alien research and keeps a global database holding tens of thousands of reported sightings and tip offs. Mr Harzan appears to agree with Mr Milne about Area 51, but said alien technology was stored elsewhere. 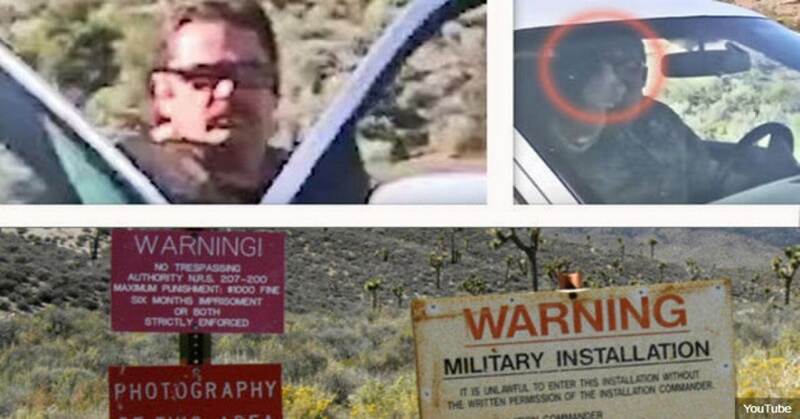 He said: “Area 51 is a top-secret airbase for the CIA and military to test super-secret aircraft years ahead of what the general public is aware of. “As best we know, there are no UFOs or aliens at Area 51. “There is, however, an area just to the south and on the same Tonopah Test Range called S4. “Based on insider information, this is where work on extraterrestrial recovered craft takes place.